Sweeping political and economic transformations worldwide have brought substantial reductions in armaments, armed forces and their associated costs. The authors describe a "decade of disarmament" after decades of an uninterrupted arms race. The decreased military employment of resources induces immediate economic dislocations, but it also creates opportunities for more efficient civilian use of resources and improved welfare in the longer term. The progress of the still-endangered trend of disarmament, demobilization and demilitarization may be encouraged by a conceptual approach to defense conversion, thereby contributing to global peace-building. 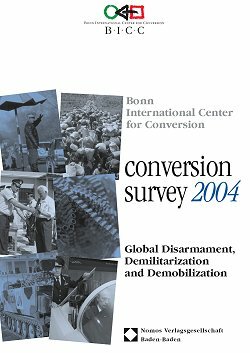 Toward this end, the Bonn International Center for Conversion (BICC), an international research institute focusing on conversion and disarmament, presents the first overview of the global shift in resources in its conversion survey 1996. The book provides comprehensive data and policy discussion on six issue areas: reallocation of financial resources, reorientation of defense research and development (R&D), industrial conversion, demobilization and reintegration of armed forces personnel, base closure and redevelopment, and alternative use or disposal of surplus weapons.